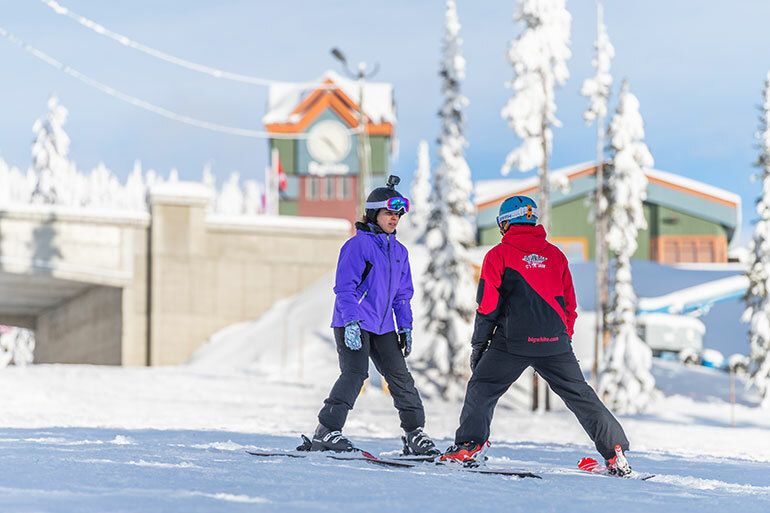 The Brazilian-native first tried on a pair of skis on the second weekend of December at Big White Ski Resort’s Never Ever Days – a beginner program designed to give first-timers a fun, safe, and encouraging experience with pros who specialize in teaching newbie adults. For only $25, registrants get a beginner-area lift ticket, a full day of rentals, two two-hour group lessons, lunch and an après function at the Happy Valley Day Lodge. Never Ever Days is just one of many ways would-be skiers or boarders can give the sport a try. 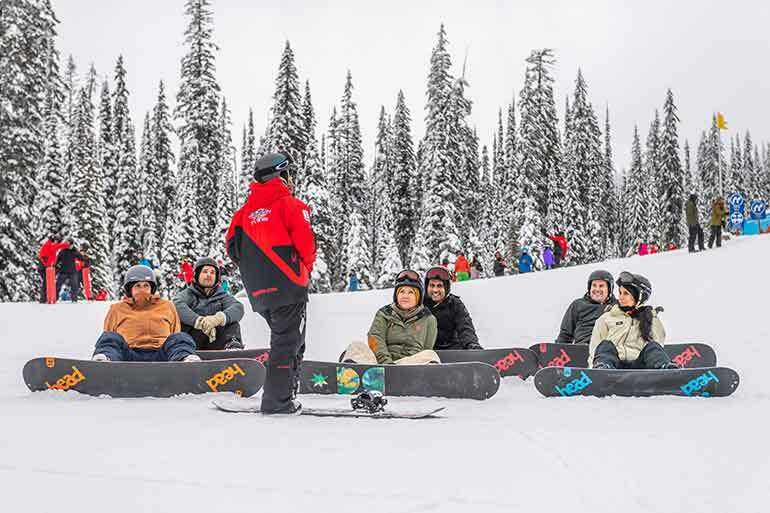 Big White’s new Locals’ Sundays special is another. From now until April 22, people who live in the Okanagan area can learn to ski or snowboard for as low as $50. This includes a 2-hour group lesson, a beginner lift ticket and full-day rentals. Can’t make it on a Sunday? No problem. The Big White Ski & Board School has full-day and half-day Discover Programs available throughout the week for first-timers from as young as three years old. Once you’ve completed that, Big White’s Next Step Program will get you up the lift and down the run with the confidence to do it again on your own. 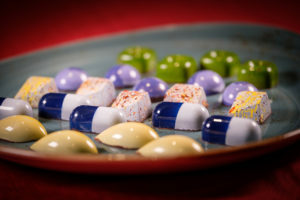 Take Rodrigues, for example. By that first day, Raquel had conquered the Magic Carpet and was shredding her first green run, Hummingbird. On her second day, her instructor was “epic,” she said, and she was able to take everything he taught her, make it off the Ridge Rocket Express Chair and down the green run Serwas. Her third day was a series of green runs and chairlifts. That was the day she said she started to feel comfortable on two planks – comfortable enough to graduate to a blue run on her fourth day. And by her fifth and final lesson, at the end of December, Raquel was confidently making it down blue runs. In less than one month, Raquel went from being a complete stranger to snow and skis to being able to cruise down the majority of Big White’s runs – thanks, she said, to the Big White Ski & Board School. Contact the Big White Ski & Board School. They’re the experts, and they’ll tell you everything you need to know to start shredding the slopes. Take a lesson. We know it can be tempting to have a buddy teach you instead, but for your safety and the safety of the others on the hill, spend some time getting to feel for things with our world-class instructors. Dress warmly. There’s nothing that’ll get you off the mountain faster than cold toes, so make sure you have appropriate ski and board gear – all of which is available for rent at Big White. Ask questions. 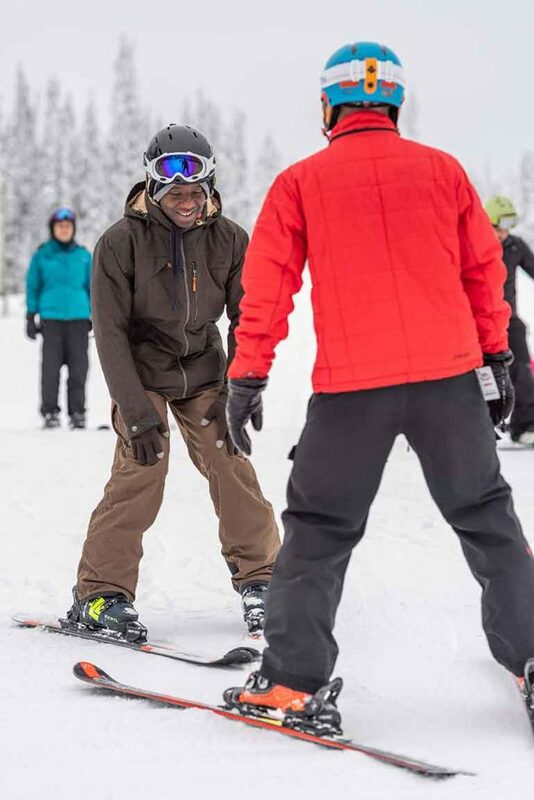 Big White’s Concierge team is packed with some of the most knowledgeable people on the hill – they’ll point you in the right direction, whatever your question. Take a tour. Our free Snow Host program is a must for those of you looking to get to know the mountain, and do so at whatever speed suits you! Relax. Remember, skiing and snowboarding are supposed to be fun! Learning something new is always a challenge, but trust us, its worth it. Spend the day on the slopes, then unwind at après ski in Happy Valley, or treat yourself to a massage at Elevation Spa. If it’s been a while since you strapped on a pair of skis or a board, Big White recommends taking a refresher lesson. Contact the Ski & Board School to find out what level you should enrol in. Adult group lessons start at 10:00 am and 1:00 pm, and children’s lessons at 9:45 am and 3:15 pm. Be sure to arrive 45 to 60 minutes ahead of schedule to allow time to sort out your rentals!